A few days ago I posted on Facebook Hacking Defense. Today I will follow it up with Twitter. While everyone has different take on the settings you should use to secure your account, I will look at the different options and see which ones make the most sense for a good balance of convenience and security. So what can we do to protect our Twitter account? 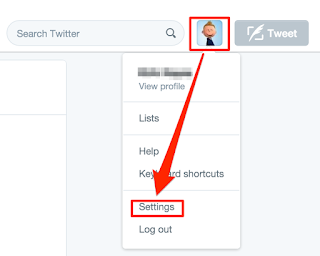 First, select the picture used for your account in the top right hand corner and select Settings. Next we will click on the Security and Privacy page. 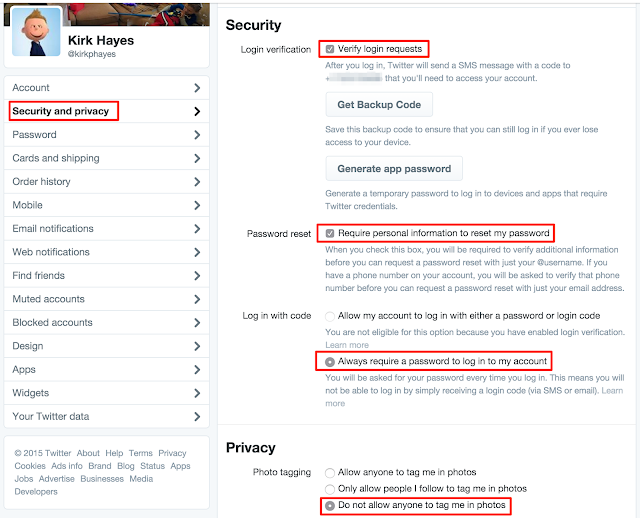 I HIGHLY recommend you turn on "Verify login requests". This essentially is Twitter's way of doing two-factor authentication. When you try to log in the site for the first time on a computer, Twitter will send you a text message that will contain a 6 digit number that you will need to enter. 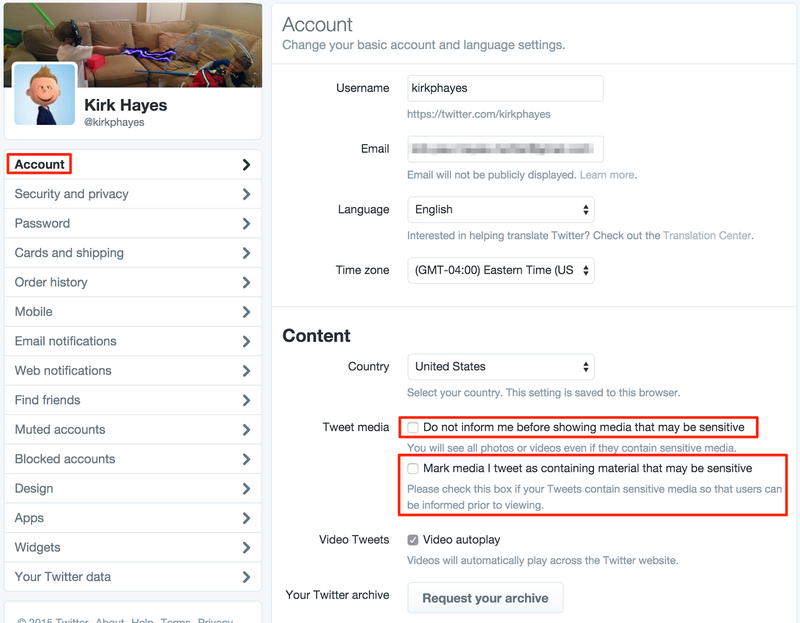 Other settings I suggest you select are highlighted in the following pictures. 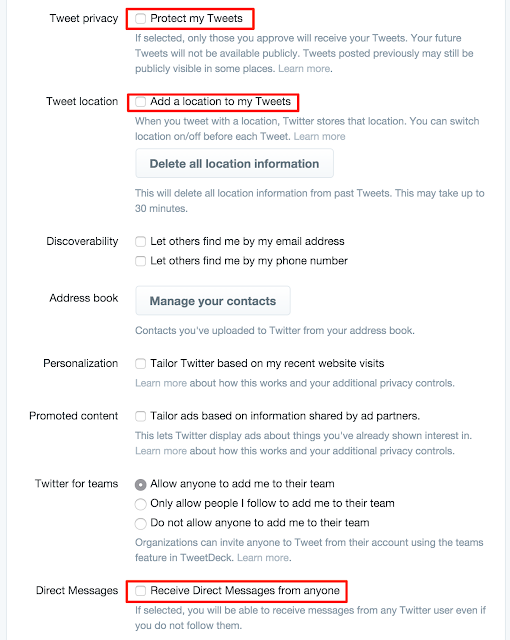 If you select Protect my Tweets, your profile becomes private. With a large social media platform like Twitter, I'm not sure why you would select this, but it is an option if you want it. Also, adding a location to your tweets lets people track where you are/have been. I suggest turning it off. Also don't forget to check the associated Apps (under settings) and make sure none look strange to you!